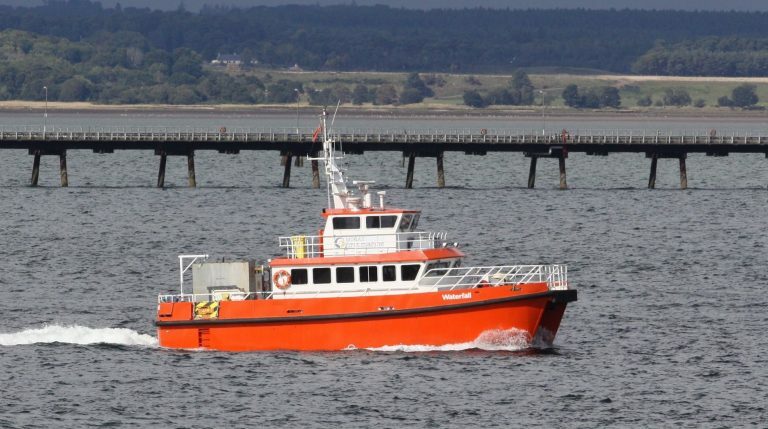 Moray First Marine currently operates 2 high specification, extremely versatile vessels that have proved immensely useful to clients. This is shown by the wide range of projects we complete and the amount of repeat business we enjoy. 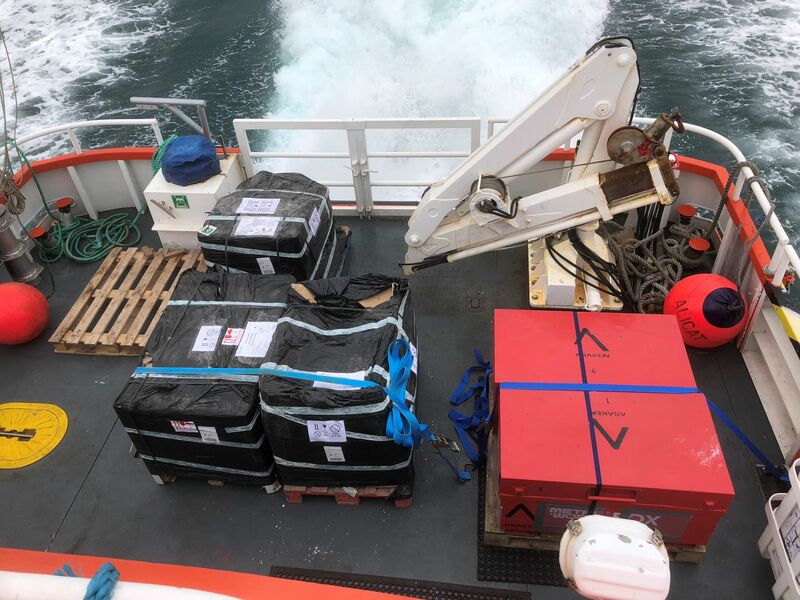 Although a relatively small company, Moray Marine has a solid financial base and is in a position to increase our fleet capacity, without using sub-contractors, to meet your needs. 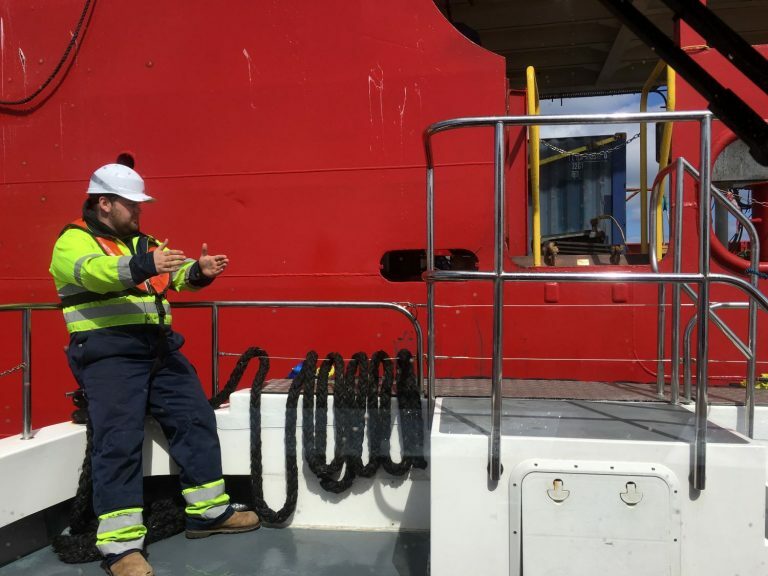 Finally – A simple, but important point, that is often overlooked when clients are choosing which marine contractor to use; The Comfort of YOUR Staff! Our boats have comfortable seating, heating, toilet & washing facilities. We also supply your staff with hot drinks and, depending on the length of the trip, hot food. 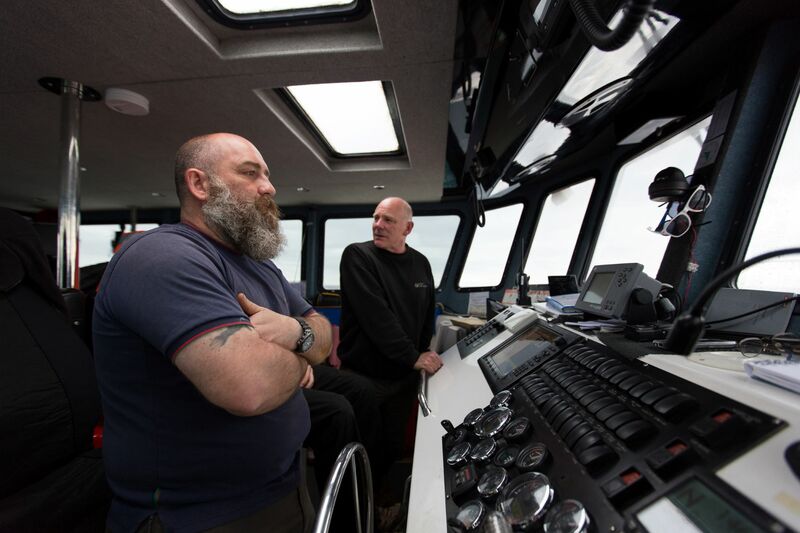 While being safe and having the necessary skills and experience are pre-requisites for a quality Marine Contractor, there’s no need to make a long day at sea miserable for the lack of a simple cup of tea! Talk to us today about your requirements; you might be surprised by what we can do! 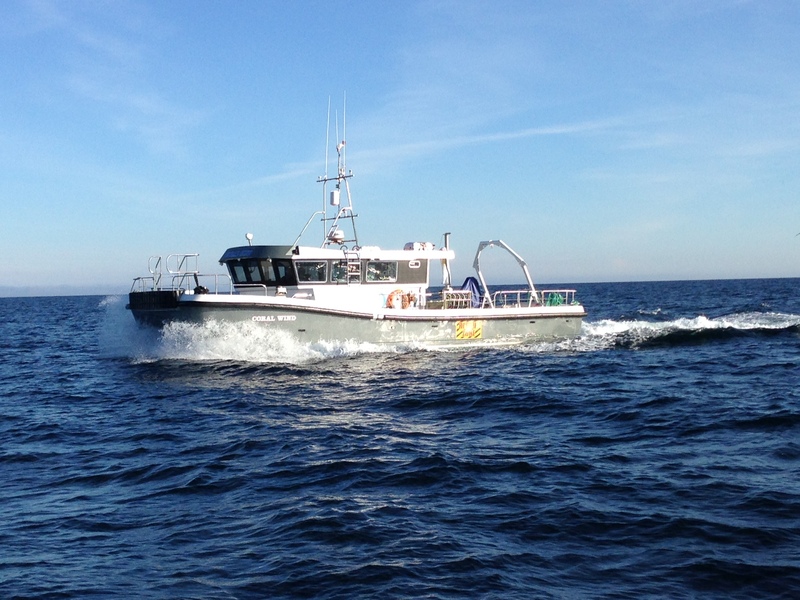 Waterfall is a 16m Aluminium Cat’ built by Lyme boats. 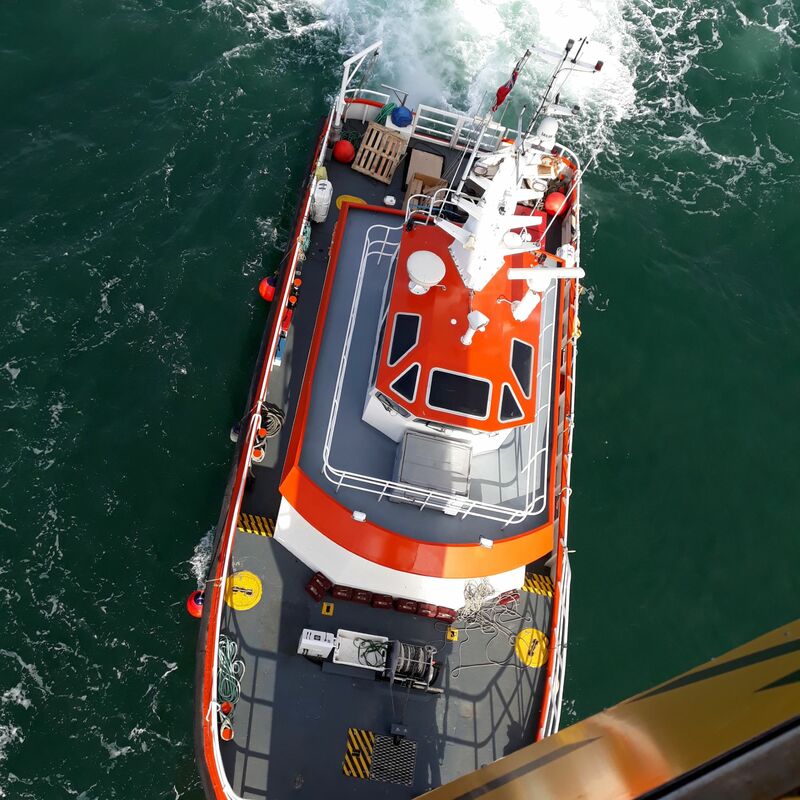 She is licensed for 12 passengers and 3 Crew up to 60 miles off shore and is available for charter anywhere within the MCA limits. 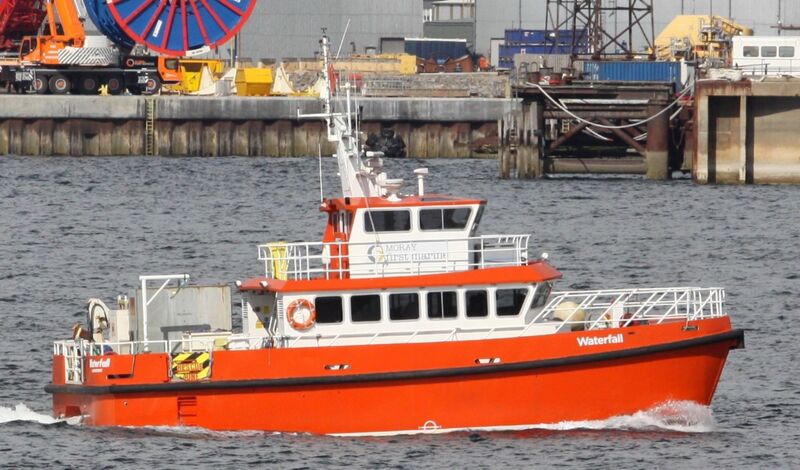 She can carry 6t of cargo; has a substantial crane and has bow fendering for crew transfers. For survey work she has two “through hull” moon pools. 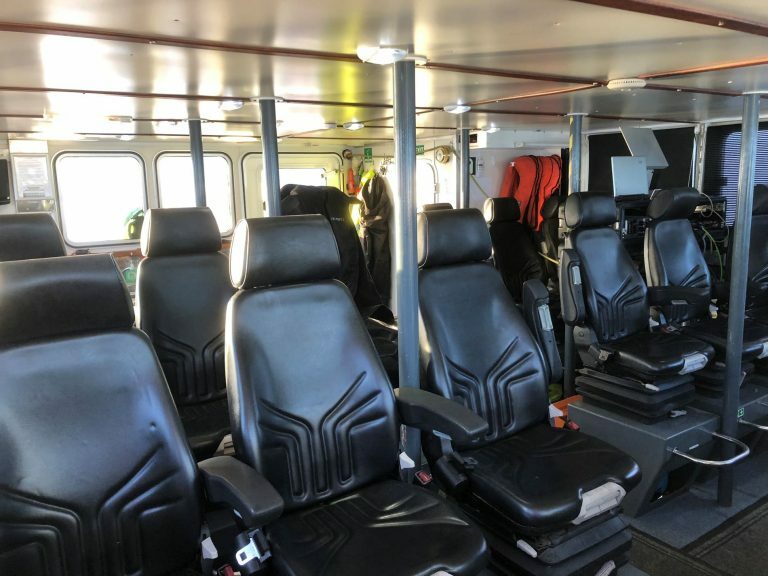 The large lower wheelhouse has individual sprung seating for 12 which can quickly be reconfigured for survey desks. She also has mess area, galley and WC / shower. With 4 crew bunks, she’s capable of 24-hour operations. Her raised upper bridge also provides an excellent platform from which to conduct mammal surveys in comfort. She has an impressive range of navigation and safety equipment. Coral Wind is a 14M Gemini Fast Cat. 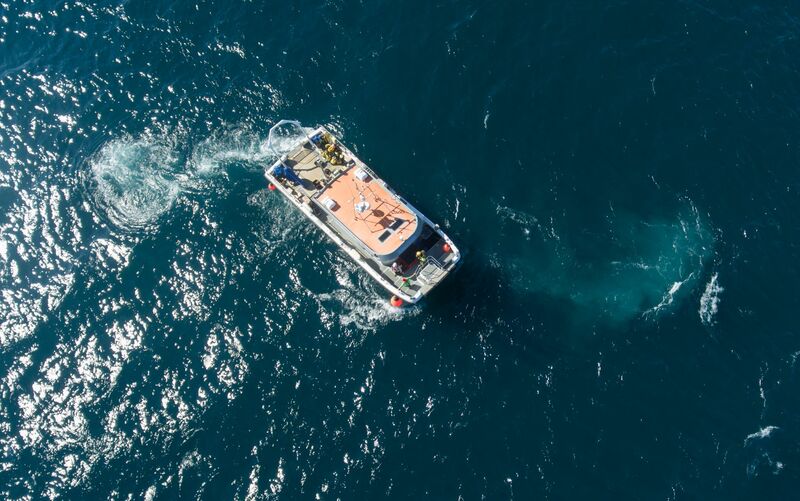 She is licensed for 12 passengers and 2 Crew up to 60 miles offshore and is available for charter anywhere within the MCA limits. 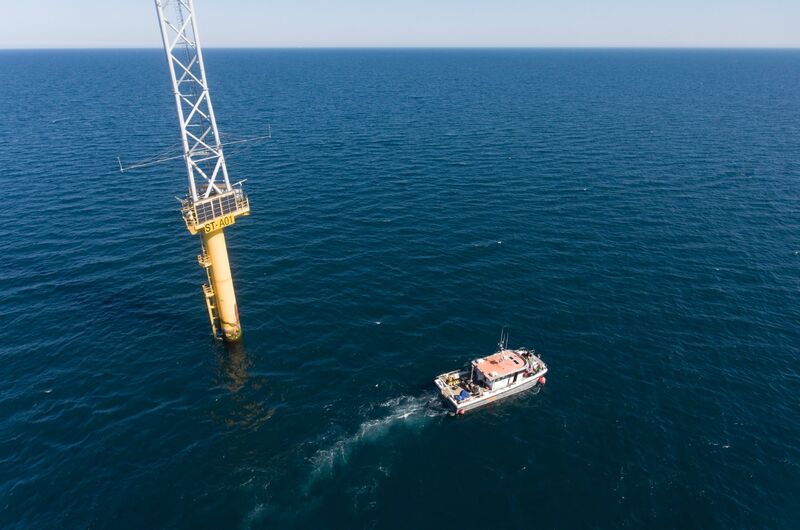 Coral Wind has an impressive deck space with 750kg crane, a 750kg A-Frame and winch or capstan. She is especially in demand for survey work due to her stability in the water, easy access to the water and the central moon pool. 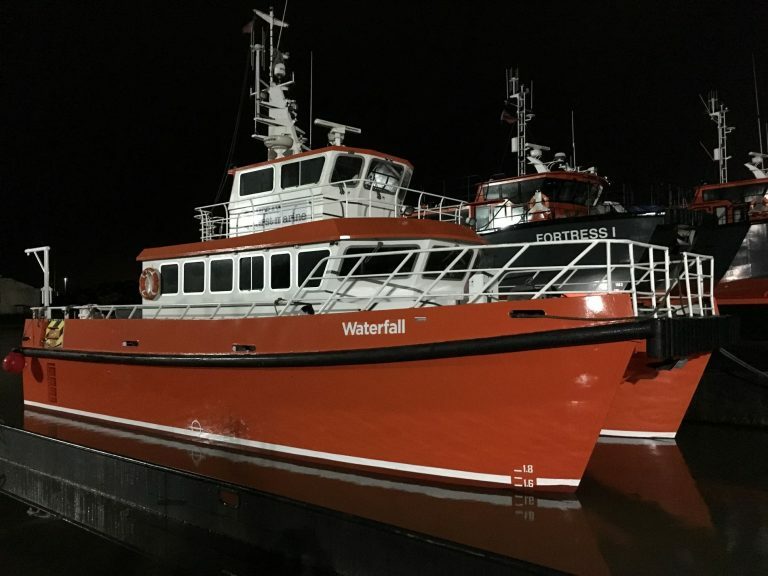 She has a large wheelhouse with dedicated area for survey equipment and technicians as well as mess area, WC, shower and galley and 13KVA generator. 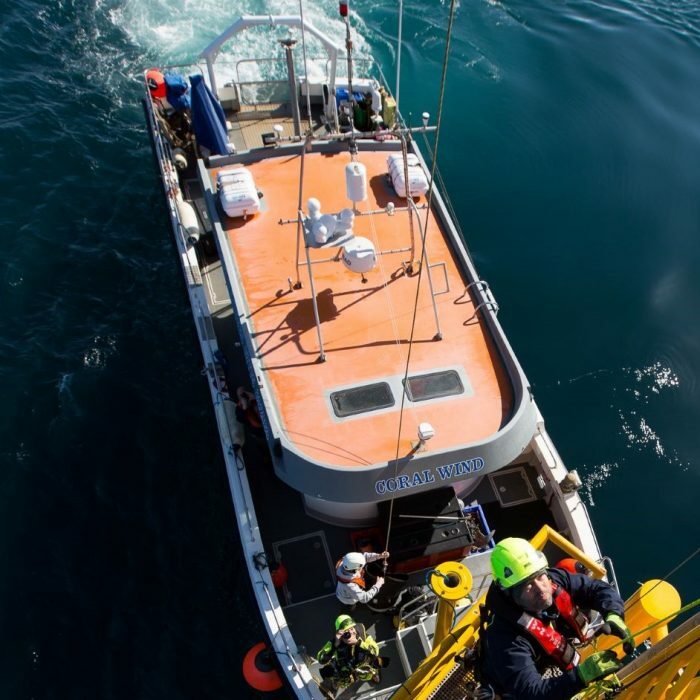 She also boasts an impressive range of navigation and safety equipment.